Five people have been arrested today (Wed 8 February) in a crackdown on the sale and distribution of illegal TV set-top devices in the North West of England and Wales. 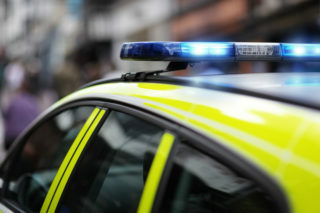 The multi-agency day of action saw FACT, Greater Manchester Police, City of London Police’s Intellectual Property Crime Unit (PIPCU) and the Intellectual Property Office (IPO) join forces and execute six warrants in Tameside, Bolton, Bootle, Manchester, Cheadle and Rhyl, Wales. Fully-loaded illegal TV set-top devices were seized at the homes of the five suspects. 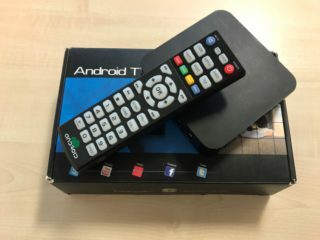 These devices are pre-loaded with unlicensed add-ons and apps which then allow users to illegally stream content to their TV such as premium pay-for TV channels, live sport and films. Collectively it is believed the suspects have made in the region of £250,000 across social media, online forums, as well as their own dedicated websites. All were taken to local police stations for questioning and have since been released on bail pending further enquiries. The day of action was instigated by FACT on behalf the Premier League, Sky, BT Sport and Virgin Media. Officers from Greater Manchester Police, Merseyside Police and City of London Police also joined FACT investigators the day before (7 Feb) to issue three Cease and Desist Notices to other offenders on a lower scale. Two further investigations have also been passed on to HMRC for further action. North Wales Police also assisted officers on the operation. Jo Johnson, Minister of State for Universities, Science, Research and Innovation, said: “Profiting from illegal streaming is completely unacceptable. The UK’s creative industries are a national asset that must be protected. This crackdown follows the first prosecution of illegal set-top box sellers in England. This landmark case saw illegal set-top box supplier Terry O’Reilly sentenced to four years in prison in December 2016. A second supplier, Will O’Leary who worked with O’Reilly, pleaded guilty and received a two year suspended sentence. The prosecution was brought by the Premier League with support from FACT. Kieron Sharp, Director General of FACT, said “Today’s day of action should send out a clear warning to anyone involved in the sale and distribution of illegal set-top boxes that law enforcement and industry take this matter very seriously. Detective Inspector Neal Colburn, of GMP’s Asset Attack Team, said: “Operations such as these are a vital means of protecting jobs supported by the entertainment and creative industries which are a vital part of the UK economy. 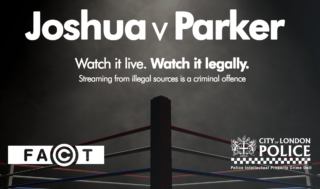 “GMP is committed to this multi-agency approach, which is driven by intelligence sharing, and will continue to be part of this successful partnership to tackle copyright-related crime. DCI Pete Ratcliffe, Head of the City of London Police’s Intellectual Property Crime Unit said “This operation is aimed at taking out distributors of illegal set top boxes in the north west of England. “This industry undermines the legitimate sale of subscription television services which employ tens of thousands of people in the UK and whose contributions are key to the creative and sporting industries.